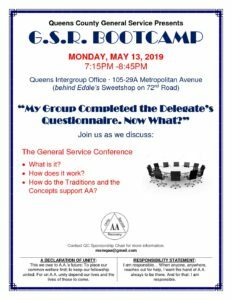 Queens County General Assemblies are held primarily for General Service Reps (GSR’s) and District Committee Members (DCM’s) to collect information about events and other matters of interest outside their respective Groups. It also provides a means for Groups to be heard in matters impacting their Group or Area if they are unable to make it to the Area Assembly. New GSR or DCM orientation is held between 7:00 and 7:30 pm before each Assembly. HOSTED BY THE HISPANIC DISTRICTS!! The Delegate’s Questionnaire is your group’s chance to participate in the fellowship-wide decision-making of AA! 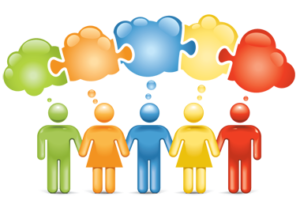 Ask yourself: do I consider my Group important enough to have our voice heard? At the May 4th Pre-Conference Assembly in Yonkers, you will have the chance to share your Group’s conscience on these questions and leave your completed questionnaires with me. An electronic version of this questionnaire is also available at www.aaseny.org/d-q in English and Spanish. Please fill out the online version if possible (it’s easier for me to tabulate). You don’t have to answer all the questions if your Group has no opinion on an item. Bob D. & Paul McQ. • How do the Traditions and the Concepts support AA? This Concepts Workshop is presented by District 301 and is every 3rd Sunday of the month. Come study the 12 Concepts with us. Each month, we have a different speaker come to share their experience, strength & hope on them. We would love to have you join us. NASSAU is hosting L.I.S.T.S this year. 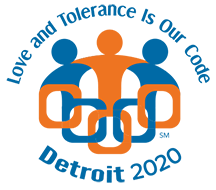 Please contact us with your Idea’s, Experience, Strength, and Hope in service and fellowship to connect your district, committee, group, or service entity with the planning of this event. 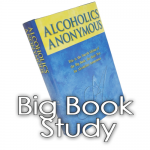 Help in supporting this fun way in learning how to do the service that individuals may do to Stay Sober and Keep AA Functioning. We want to hear from You!! We know only a little……How do you do Service? How should we serve you? SENY Committee reports are given. Other matters of concern are discussed and addressed. It is open to all AA members however, only DCMC’s, DCM”s, and committee chairs may vote. 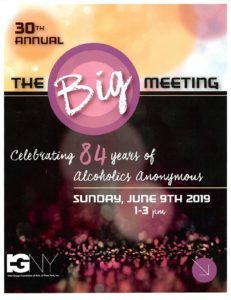 Celebrating 84 Years of Alcoholics Anonymous!!!! Want to do Service for The Big Meeting??? Long Island Spirituality Through Service (“L.I.S.T.S.”) ASPIRES TO AFFIRM THE SPIRITUAL PRACTICE OF UNITY & SERVICE TO RECOVERING ALCOHOLICS. Want to do Service? Want to be part of Planning of an AA Event? Want to give back what was so freely given to you? Well…..Why not help with the planning of L.I.S.T.S (Long Island Spirituality Through Service). Host this year is Nassau County! 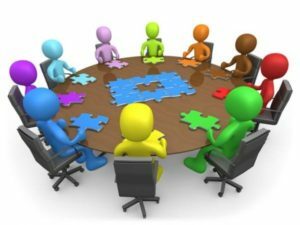 Join them at Nassau Intergroup (361 Hempstead Tpke, West Hempstead, NY 11552) on the third Tuesday of each month at 7:30 for the Planning Committee Mtg. They are looking for idea’s, experience, strength and hope in Service and the Fellowship. 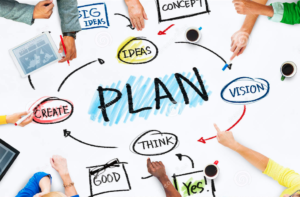 Connect your District, Committee, Group or Service Entity with planning this great yearly event.